is a worldwide movement to rally people for a day of giving their time and money, after celebrating Thanksgiving, Black Friday, and Cyber Monday. Yes She Can has been participating since 2015. We are seeking your help to fund raise with us this November 27th. We welcome any creative ideas you have to raise money to support our job skills program at Girl AGain boutique. Contact us at 914-358-1460 if you would like to help. We are also calling all Girl Scout troops to join us. 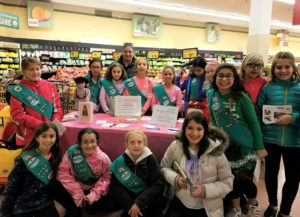 Last year Troop 2151 held a very successful collection drive at a supermarket in Eastchester, NY. 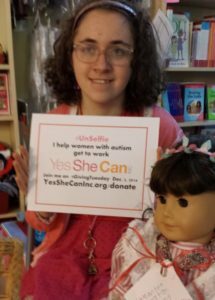 get more information here about supporting Yes She Can on Giving Tuesday.